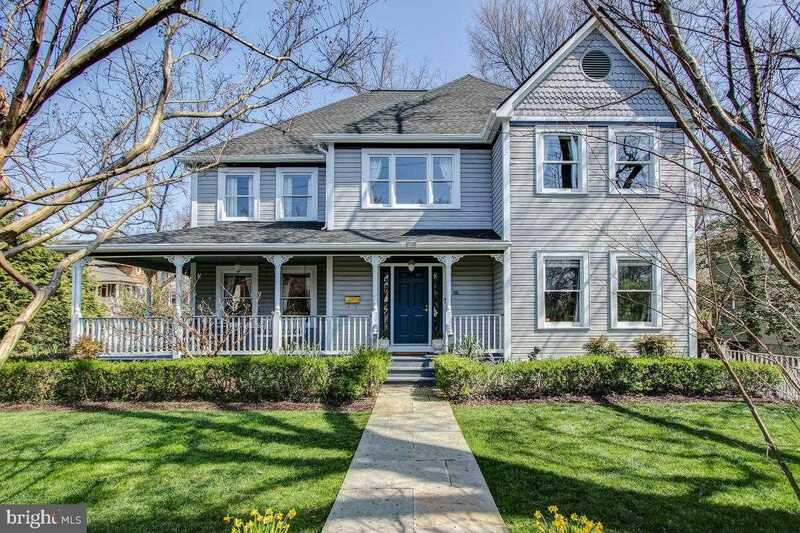 An extraordinary opportunity, this expansive, contemporary Victorian home features every space you would hope for & more, on a sheltered corner lot in cherished North Takoma; bright, open gourmet kitchen with island and eat-in, 4 bedrooms up including master en suite. Formal dining room and parlor, balanced by an open, practical great room configuration. Gleaming hardwood floors. Lower level features rec/ family room and additional pair of big bedrooms, plus a sauna, all walking out to pleasing flagstone patio space. 2 car garage with roof deck – with its own bridge! New roof; CAC. All just steps to BOTH downtowns, Silver Spring and Takoma Park, and a bevy of parks, playgrounds, shops, restaurants and metro.